Automobili Lamborghini S.p.A. - Italian company, manufacturer of expensive supercars, as well as tractors. Located in the commune of Sant'Agata Bolognese, near Bologna. The company was founded in 1963 by Ferruccio Lamborghini, at that time he was the founder and owner of several companies. Sam Lamborghini, after the founding of the company, owned by her 9 more years. The current owner of the company - Audi AG. In the early 1960s, Ferruccio Lamborghini was the owner of several companies, and could afford to buy expensive cars. At various times, he had Mercedes 300SL, a few Maserati 3500 GT, Jaguar E-type. He also owned several Ferrari 250 GT, different versions. But in every car he found some flaws. 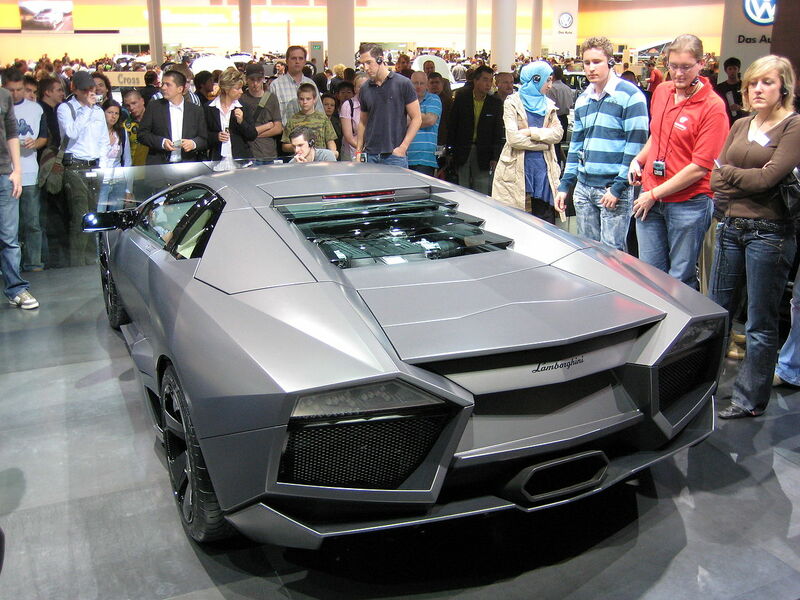 There are several versions about the reasons for which Lamborghini founded his own firm. All these versions are reduced to a conflict between Enzo Ferrari (Ferrari owned companies) and Lamborghini. The most popular version, told by Ferruccio Lamborghini's son, says that Lamborghini went to the factory to Enzo Ferrari to complain about the quality of the clutch in my car the Ferrari 250 GT. Enzo Lamborghini sent back with the desire to continue to engage in tractors because in cars, and even more sporting, Lamborghini does not understand anything. Lamborghini went back to the factory, disassembled the transmission in his Ferrari 250 GT and discovered that the manufacturer of many of the same components as in the Lamborghini tractors. At its warehouse he found a suitable replacement, and the problem was solved after assembly. Ferruccio decided that his car will be the V12 engine, this engine was also chosen for economic reasons. Ferruccio attracted to the project talented engineer Giotto Bitstsarini (Giotto Bizzarrini), who had previously developed for the V12 Ferrari. The prototype car Lamborghini 350 GTV was presented to the public at an auto show in Turin in October 1963. 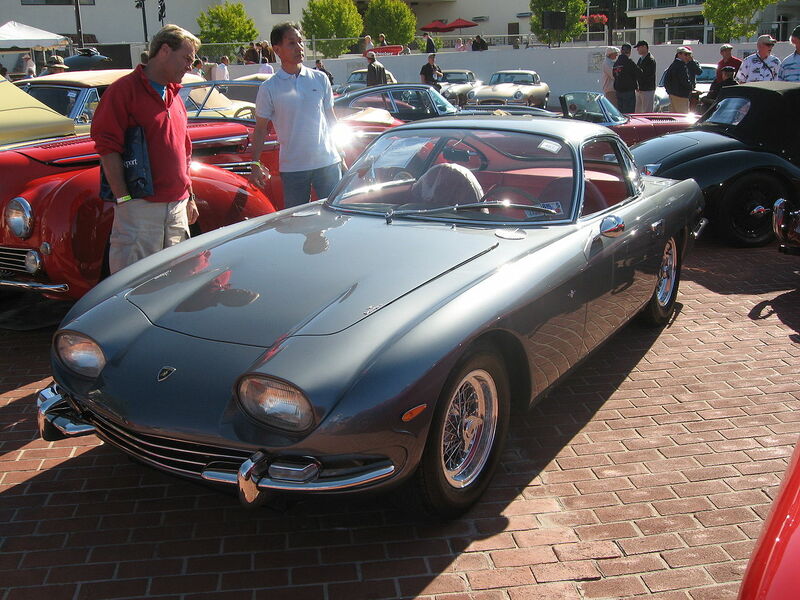 In March 1964, he was shown the first Lamborghini 350 GT production car. Sales of the production version have been very successful. 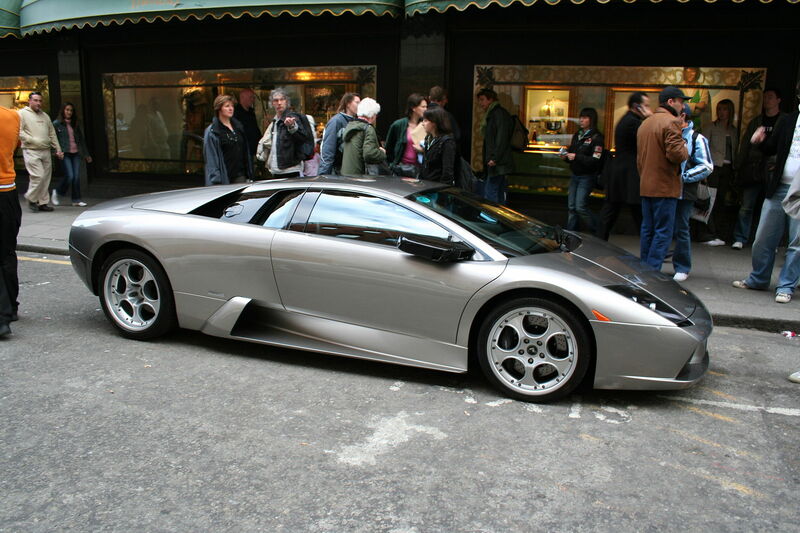 Born under the sign of Taurus, Ferruccio Lamborghini car logo adorned with the image of the bull. The success of the model 350 GT was followed by no less successful model Lamborghini 400 GT, which brought sufficient funds for the development of the first true "pearl" of the company, the legendary Lamborghini Miura. This prototype car was shown by Ferruccio in November 1965 at an auto show in Turin, and in March 1966 at the Motor Show in Geneva, the working version was presented. Miura was a great success - only 111 cars were sold during the year 1967 - and the company became known worldwide. In 1971, Lamborghini once again surprised the world the prototype of a revolutionary new model of Lamborghini Countach. Although the car began to be carried out only three years later (in 1974), until that time, he remained the center of attention at any auto show. The prototype was fashionable then vertically opening doors, rear air intakes and a powerful 4-liter engine. However, in 1972 the company had a serious crisis - was interrupted by a contract for the supply of a large consignment of tractors in South America. Lack of funds forced Ferruccio to sell part of its share of tractor production, which was bought by Fiat. Ultimately, all tractor production came under the ownership of Same Deutz-Fahr Group, which manufactures tractors and Lamborghini to date. 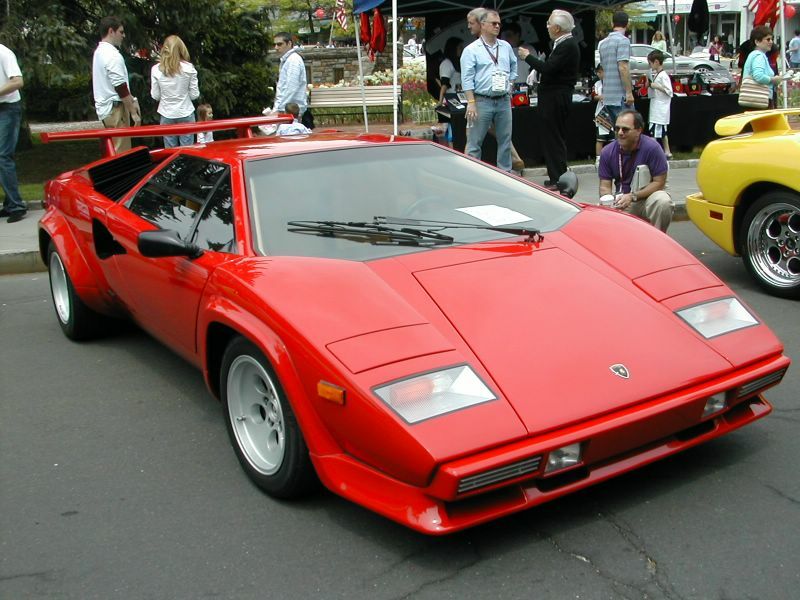 During the seventies, the successful sale Lamborghini Countach kept the company afloat. Soon, car production was self-sufficient and profitable, but, nevertheless, Lamborghini sold his share of Swiss investors - Georges-Henri Rossetti (Georges-Henri Rossetti) and René Leimer (René Leimer). Ferruccio Lamborghini died in 1993 at the age of 76 years. As a result of the oil crisis of the 1970s, sales of sports cars fell sharply. The company Lamborghini, among others, was faced with financial problems, spare parts were torn down, orders for automobiles were sold for 2 years forward and buyers were very dissatisfied with this waiting period. As a result, in 1978 the company declared itself bankrupt. Italian court was forced to sell the company. It was bought by brothers Mimra Switzerland. The acquisition of Chrysler Corporation was another surprise. At that time, work was carried out over a follower Countach - Lamborghini Diablo. Significant technical and financial resources have been involved in the modernization of the company and of its vehicles, and the end result was another success for the company - Diablo model is very quickly brought the company back to the world level. 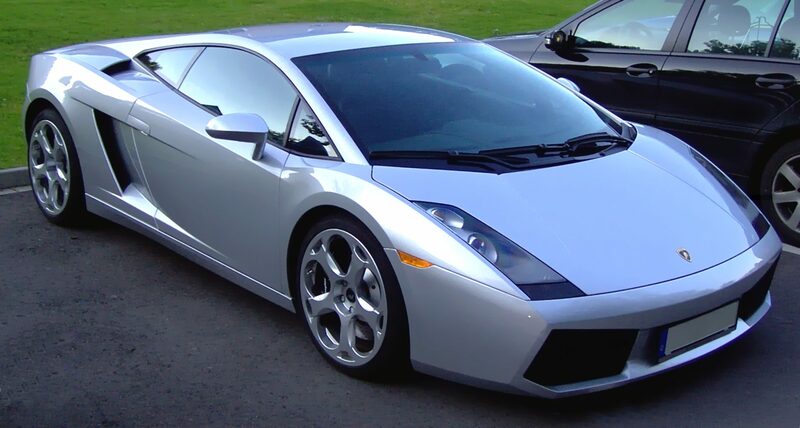 In 1994, Chrysler Corporation, due to financial difficulties the company was forced to sell Lamborghini to an investment group from Indonesia M'tec (Megatech) under the direction of Tommy Suharto (Tommy Suharto). For the same reason (financial problems), the company in 1998 again changed its owner, this time the new owner was the company Audi AG. 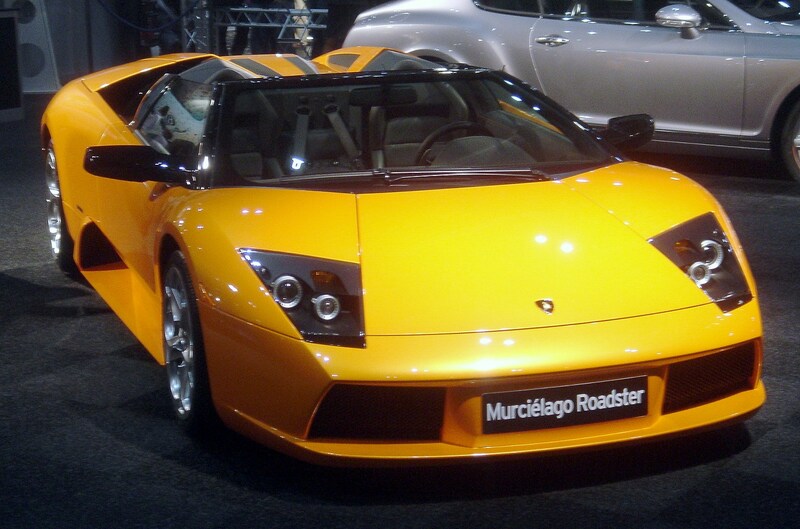 The new owner once again greatly influenced the design been produced supercars, today's Lamborghini Murciélago. Large technical capabilities Audi helped create one of the finest sports cars Lamborghini. 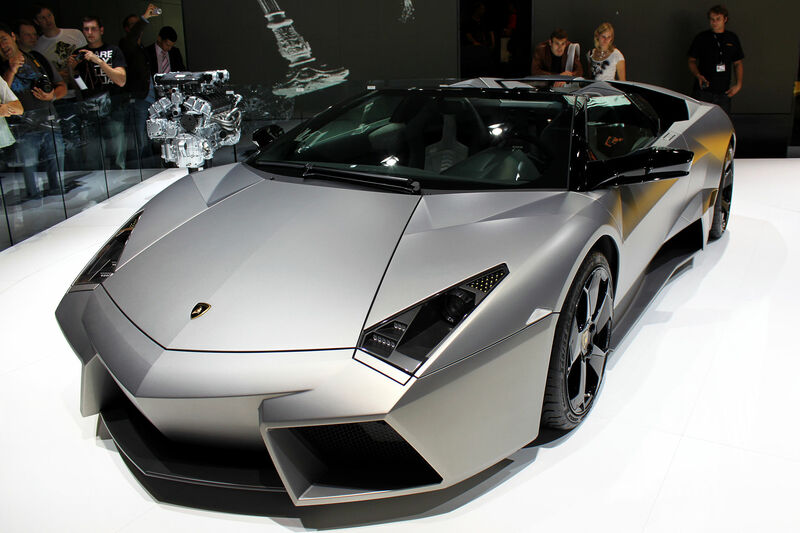 Lamborghini Cars are one of the most powerful, expensive and exclusive cars serial assembly. In addition, different models have their own unique technical innovations, such as a body of carbon fiber, high-tech V12 engines. The original style of cars designed Franco Scaglione (Franco Scaglione), Touring, Zagato, Mario Marazzi (Mario Marazzi), Bertone, ItalDesign and Marcello Gandini (Marcello Gandini) - known throughout the world. In 2001, Sant'Agata Bolognese company Lamborghini Museum was opened in 2016 it was reconstructed and completely changed the exposure. Ferruccio Lamborghini established a rule that Lamborghini cars do not participate in the race, so the years of his leadership of the company has not produced racing cars. But, already it is under the guidance of Rossetti, the company, together with BMW has decided to create a vehicle suitable for racing. However, Lamborghini with his part of the problem is not handled, and the car was entirely developed by the sports department of the BMW. Later, he entered the production and sale of a BMW M1. In 1986 to participate in the competition group «C» the company has created a car Lamborghini QVX. The car was built, but the problem with the sponsors was forced to miss the season. QVX was only one race on the track neprizovoy "Kyalami" (Johannesburg) in 1986 under the control of Tiff Nidella (Eng. Tiff Needell). Despite the fact that the car has shown quite good result, the financing program was minimized. From 1989 to 1993 Lamborghini supplied V12 engines for cars Formula 1 engine delivers to Larrousse, Ligier, Lotus, Minardi. In 1991, Lamborghini exhibited in the races his own team only one season-lived. This same engine, but under the Chrysler logo (the new owner of the company) in 1993 tested for McLaren. Although the results of the engine tests are recommended for use in the 1994 season, the team chose to drive from the Peugeot, and Chrysler closed the project. 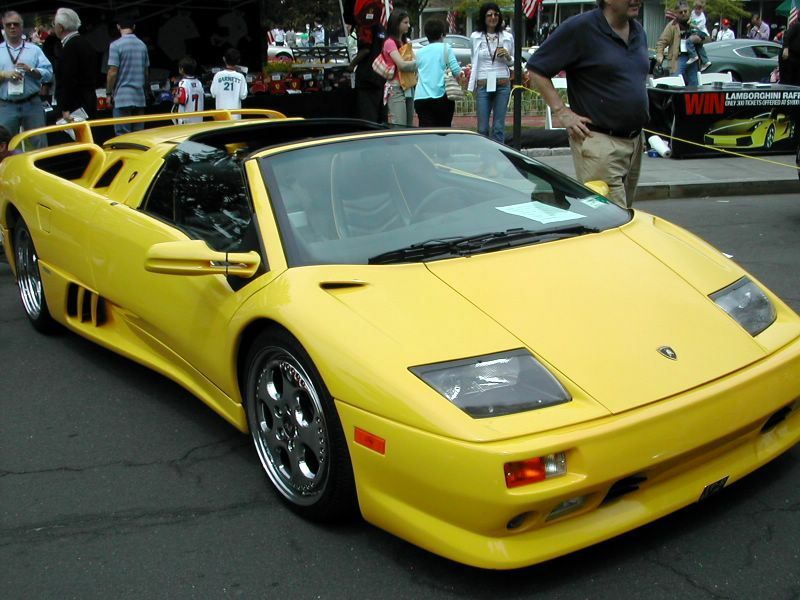 To participate in the Diablo Supertrophy - one model competitions held annually from 1996 to 1999, the company provided two versions of the car Lamborghini Diablo - Diablo SVR in the first year and the Diablo 6.0 GTR in the remaining 3 years. Lamborghini developed the Lamborghini Murciélago R-GT to participate in the FIA GT Championship and the 24 Hours of Le Mans. The best results of all these events - the first place (started last) in the class LMGT1 on the track "Circuit de Catalunya" in the series "Le Mans" 2009 (car of the Russian team "INTERPROGRESSBANK Spartak Racing") and third place (started fifth) at the opening of the championship FIA GT in Valencia (the car was put Reiter Engineering team). Version Lamborghini Gallardo to participate in the FIA GT3 Championship is developed Reiter Engineering team.